Riane Arvid is a superhuman cop from the future, trapped in the year 2009 by group of murderous fanatics called the Xeran. 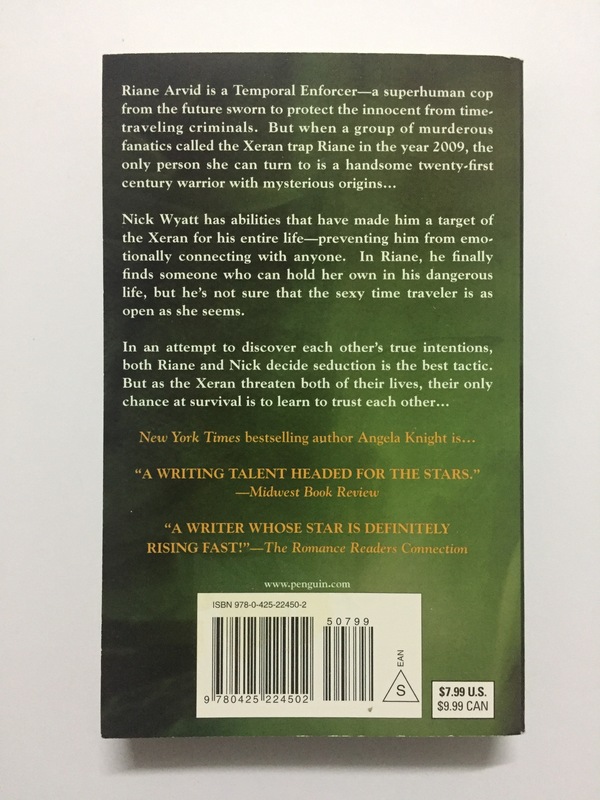 Nick Wyatt is a handsome twentyfirst century warrior who has been a target of the Xeran his entire life. He's the only one Riane can turn to, but his intentions are as mysterious as his origins. In an attempt to discover the truth about each other, both Riane and Nick decide seduction is the best tactic.